Galata Tower in Istanbul stands 67 metres tall on a hill in the new city and is much older than many of the things around it. It was built around 1348, replacing the Byzantine tower which stood nearby and was destroyed in the 1200s. To be honest, the history of the tower will not be your main interest when you visit. 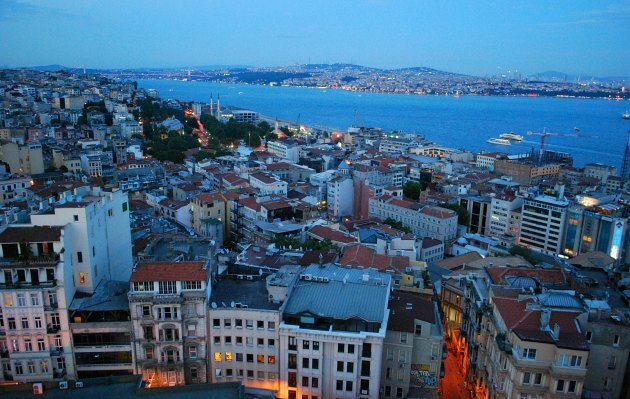 Instead, it’s the wonderful views of Istanbul that visitors flock to see. The tower has two elevators which will take you up to the restaurant level. After that, there are winding stairs to take you the extra couple of flights to the viewing level. A small door gives access to the balcony outside and you’ll find it really is quite small with only just enough room to squeeze past other people. There is a one-way system in operation and in general people move around at the speed of the person in front of them. The views really are stunning. We arrived at dusk and got some lovely images of Istanbul as the lights came on. The view towards the old city (pictured above) allows you to pick out Hagia Sophia, the Blue Mosque and parts of Topkapi Palace. The view towards the Bosphorus includes the suspension bridge. Maiden’s Tower and the Asian side. 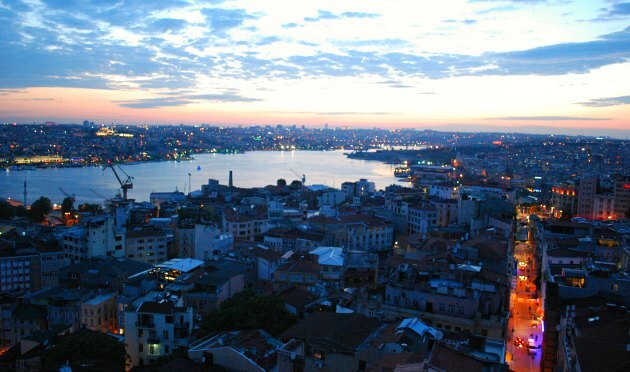 Whilst the View of the Golden Horn includes Süleymaniye Mosque. 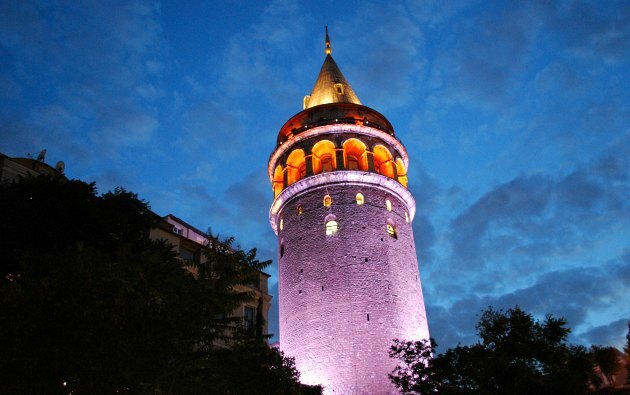 Galata Tower is open daily from 9am to 7pm. Adult admission is 20TL (2016 prices). You can skip the admission price by eating in the restaurant, which even serves breakfast. 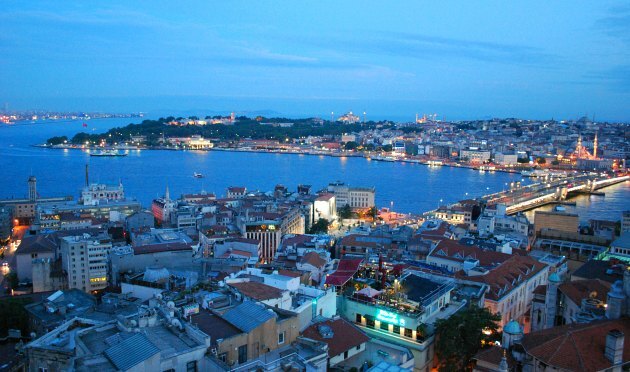 The Galata Tower & Istanbul City Tour is also a good option as it includes admission to the tower. Galata Tower is a short walk from the tram stop at Galata Bridge. We used the Istanbul Big Bus Hop-on, Hop-off Tour to get here.